Fabian Cancellara (RadioShack-Leopard) won the Swiss time trial championship on Wednesday. The former Olympic and world champion topped Martin Elmiger (IAM Cycling) to secure his eighth professional national TT title. Elmiger finished 59 seconds off the pace for silver. Reto Hollenstein (IAM Cycling) was third, at 1:57. Also on Wednesday, Lieuwe Westra (Vacansoleil-DCM) and Ellen Van Dijk (Specialized-lululemon) won the Dutch TT titles for men and women, respectively. 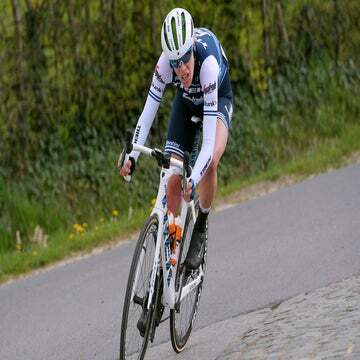 Westra bested defending champion Niki Terpstra (Omega Pharma-Quick Step) by four seconds. Tom Domoulin (Argos-Shimano) was third, at 40 seconds. Loes Gunnewijk (GreenEdge-AIS) was second in the women’s tilt, trailing Van Dijk by 40 seconds. Annemiek Van Vleuten (Rabobank) was third, at 1:01. Emma Johansson (GreenEdge-AIS) won her fifth Swedish women’s TT title. The European road national championships continue throughout the week, with the major road races taking place Sunday, June 23.